A picture is worth a thousand words, especially your wedding day photos. When it comes to your big day, these precious moments need to be captured, so they can be treasured with family and friends for years to come. We’ve created a list highlighting our most popular photography blogs, including just some of the best ideas and trends for your wedding photography. From getting both bridal parties ready to the ceremony to the reception, our Best of Wedding Photography blog will make planning your blissful day a day to look back at and smile. 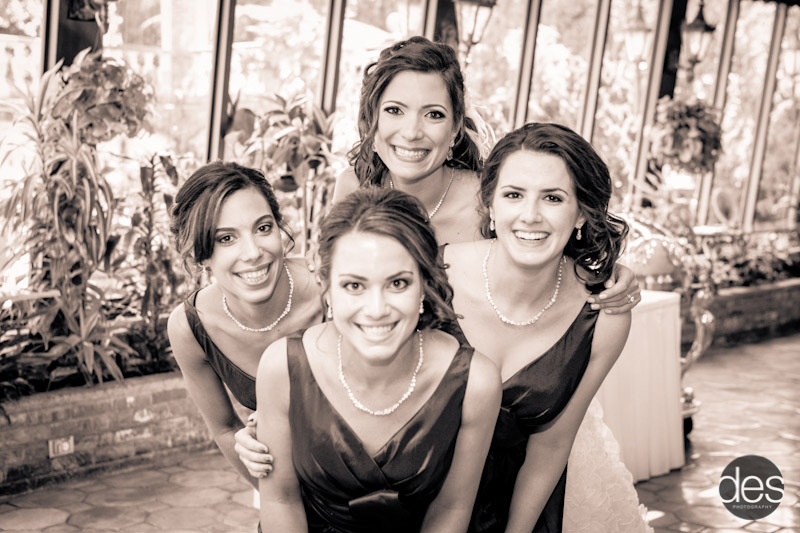 Pre-Wedding Moments for the Bride and Her Ladies makes sure your photographer won’t miss a single moment of you and your gal pals on your fairytale day. Maybe you want to capture some live footage with your iPhone in the bridal suite. Maybe before you put on those fake lashes, snap some al natural photos of you and the ladies sans makeup. Even snap some gorgeous glamour solo shots of your ladies to use as headshots. But, enough gossip and photography secrets, you’ll have to read more to get the best intel! Pre-Wedding Moments for Parents gives the mother and father of the bride, or the groom, helpful hints to enjoy their child’s special day. This blog offers suggestions from how to best ward off tears to remembering to pose for you own set of professional wedding photos to bringing your own camera along. It’s a celebration for everyone. Pre-Wedding Moments for The Groom and His Men gives an insight on how to let the boys be boys, with ideas of planning an outing like a round of golf, a sporting event like a baseball game, or even how to create great nonchalant pictures. Remember those nostalgic best bud childhood photos? Veer off the traditional groomsmen line up photo, and recreate childhood photos by copying poses and goofy expressions or wearing old jerseys and hats. You can even visit your old high school’s football field. Photo Booth Trends and Tips for Weddings and Parties is a must-read guide for your wedding. This fun station provides fun and entertainment for guests besides the music and open bar. Rest assured, your guests will no longer have to squint to see a tiny photo strip; now prints can be amped up in photo size options like 8×8 and 5×7. Photos booths are no longer actual “booths”. Now, they’ve expanded to include “Open Air” concepts, such as fun backdrops, playful props, or even special effects green screens. To really up the ante, project guests’ photos on a big screen throughout the reception, or even integrate social media sharing options! Wedding Photography Trends for 2016 gives a glimpse into how photographers have incorporated different series of shots from food close up shots, to backlit shots of the couple in their venue, and a wide range of special effect camera filters. Your photographer will capture every moment leading up the groom first laying eyes on his bride, with a “First Look” shot. New technology features Drones flying overhead, for the ultimate videography WOW factor. Also, creating Social Media hashtags offer a way for guests to draw more attention to the big day. There are endless photography ideas and aesthetic elements to consider when planning your wedding day. To decide what style is best for your wedding day photography, contact our wedding planners- they look forward making your day one to remember as you begin your happily ever after. This entry was posted on Sunday, June 17th, 2018 at 4:35 pm	and is filed under Best Of, wedding photo booth, wedding photography. You can follow any responses to this entry through the RSS 2.0 feed. Both comments and pings are currently closed.